The “Gnar Pow” (as it’s commonly referred to in my once native Vermont) has yet to reach Buffalo, but the Winter boots have already begun to make appearances around town. With so many options to choose from, the Diemme New Tirol Wing Boot has them all beat. 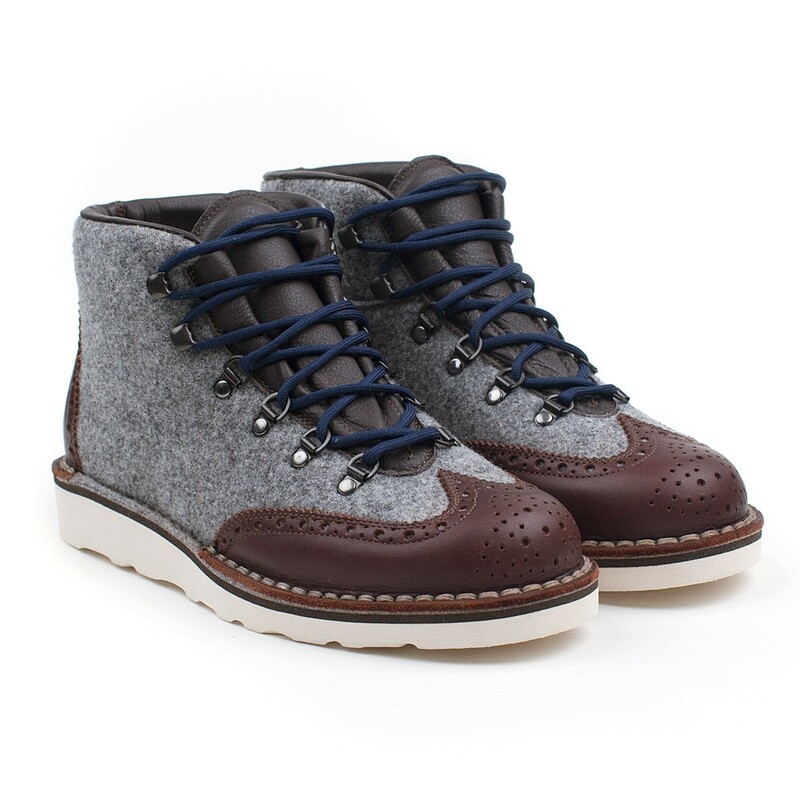 Handcrafted in Italy, the grey-felt coated leather uppers, perforated full-grain brown leather wingtips and sturdy Vibram Morflex soles make these the Dandiest hiking boots ever.